Soap-istry. Cleanliness is next to craziness. I’ve been itching to do new things for months! 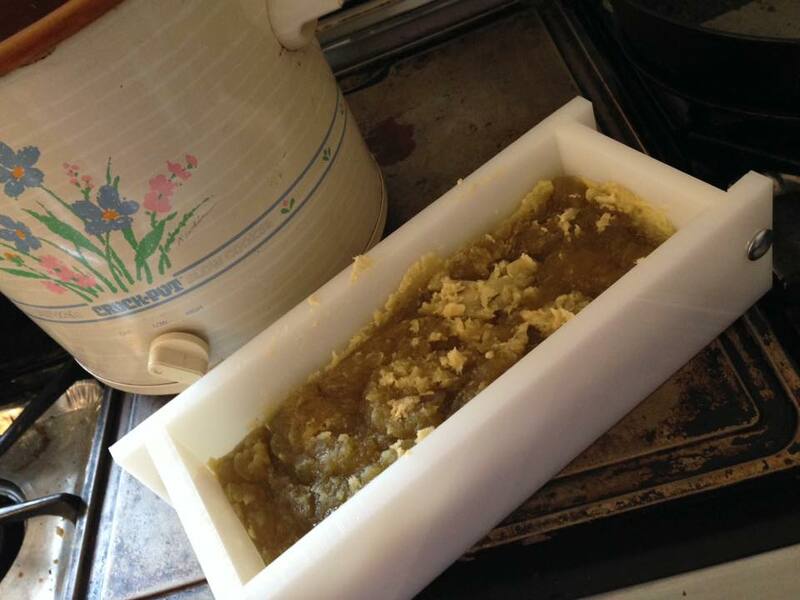 One thing I’ve decided to give a go to is making soap. Yep, soap. Not the lye soap Granny Clampett made out next to the cement pond. I want to make some quality artisnal soaps. 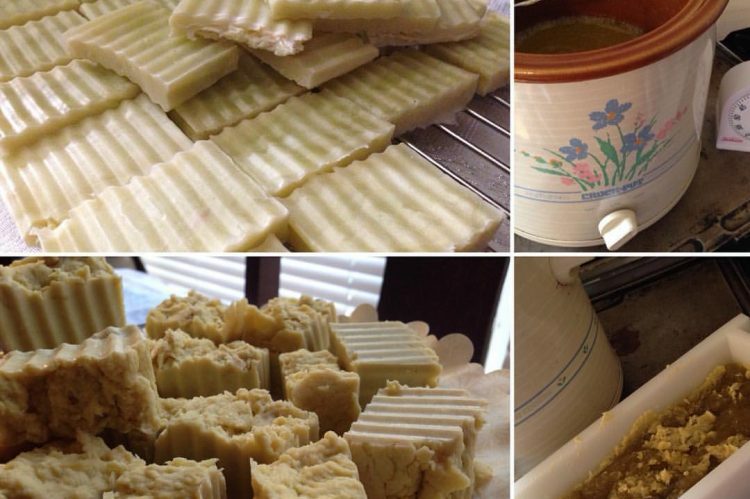 So far I have made three different soaps: Castile, Coconut and Olive Oil, and Goat Milk #1. I’ve had many of the things I need to make soap for a long time. I’ve been inching my way to it. My fear, like many others, is using the lye. That’s some nasty stuff until the saponification process is complete. After reading up on several methods, so far I’ve preferred the hot process of making soap. It’s faster and you don’t have to focus on temperature as much. And honestly, I get impatient in the beginning of new projects and if I can’t get some decent result early I won’t move on to something more difficult. The Castile soap doesn’t lather. That’s just the nature of that particular soap. It is very mild, even good for children. I’m not sure I feel clean after I use it. 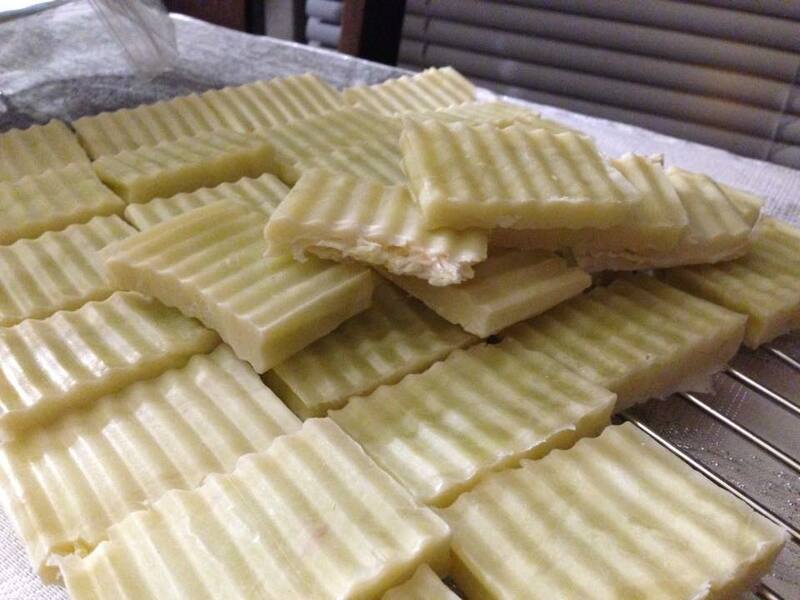 Soaps with coconut oil will lather, so I split a recipe 50/50 olive and coconut. It does lather nicely, but it seems to dry my hands out. Maybe it isn’t the soap, since my arms don’t feel dry. Half olive oil half coconut. The goat milk soap. Well, it isn’t ready to test yet. It didn’t set up like the other soaps, so I am wondering if it will turn out at all. I adapted another recipe to make it and it is possible I can’t do that. When it’s ready I’ll let you know.